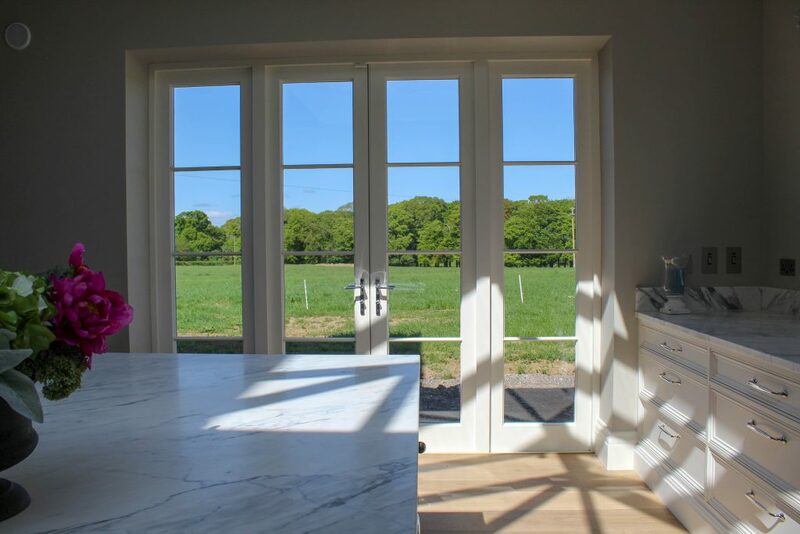 French doors are another bespoke timber specialty made by the team at Timeless Sash Windows. 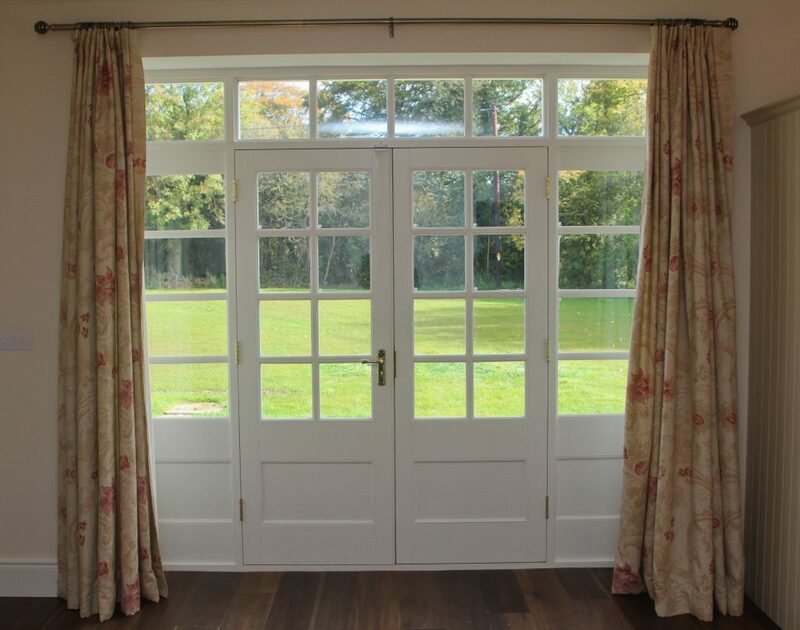 French doors are hinged doors that generally open outwards to the patio or garden, whereas patio doors can be sliding doors or bi-fold doors. 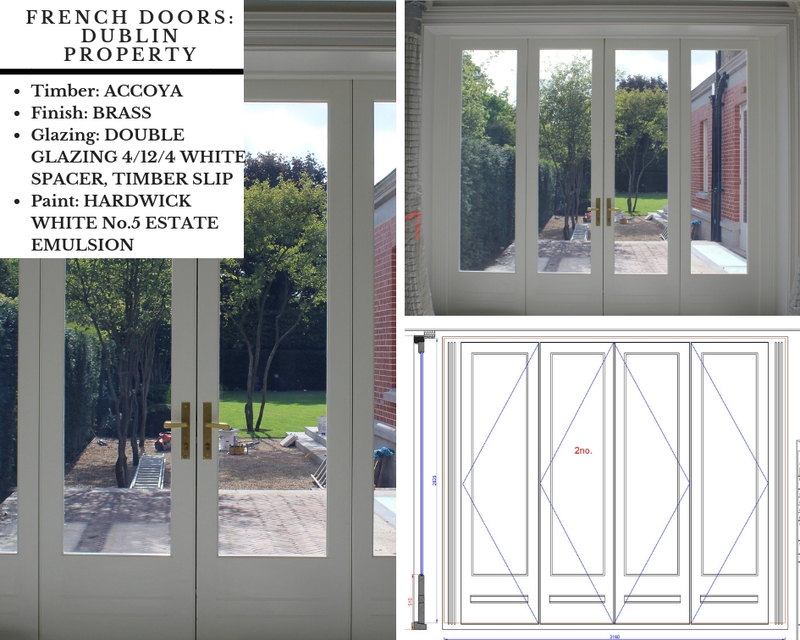 French doors of course, can also be internal doors inside your home, leading from one area to another. 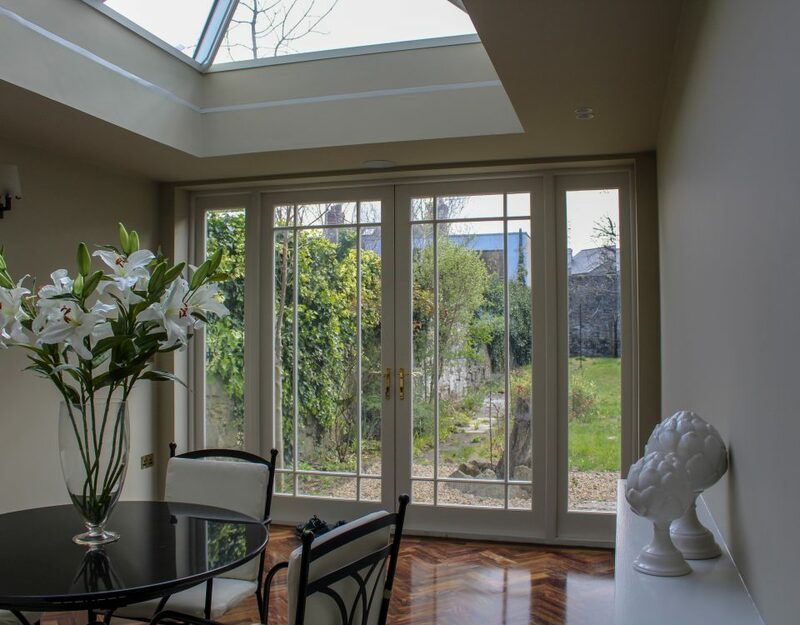 Whether you choose a folding or sliding patio door or a hinged French door will depend on your requirements of space and aesthetics. 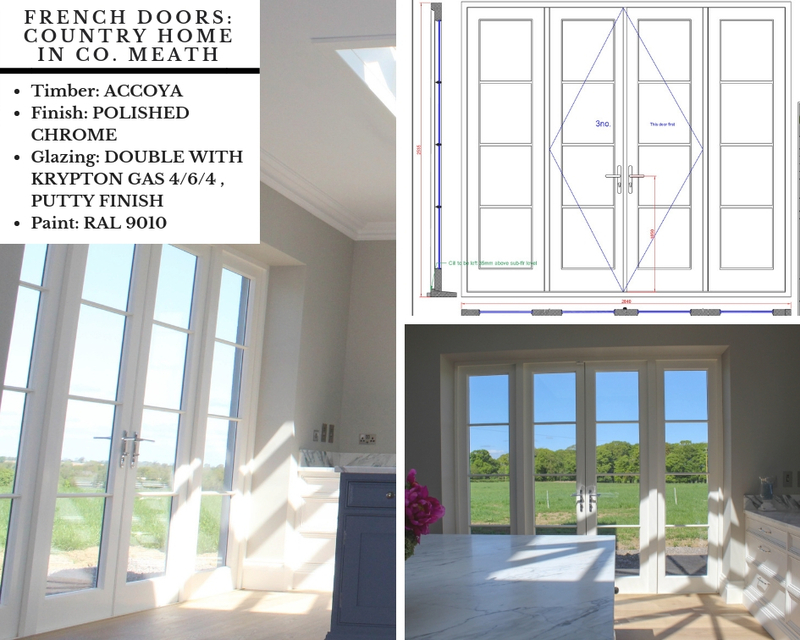 French doors that open outwards will open to the width of both leaves, typically 900mm each. 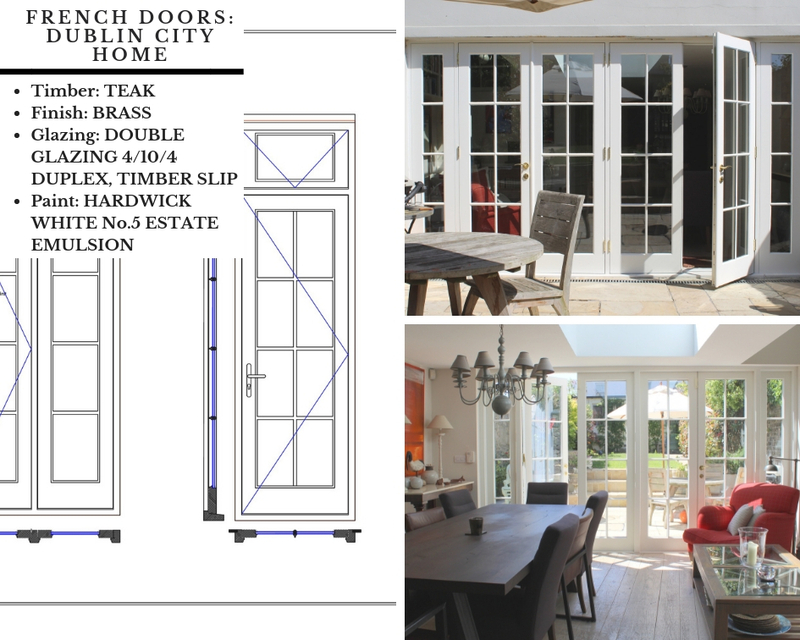 French doors can also have sidelights (additional windows panels either side of the opening section) to fill the wall opening. These are a very elegant look, with lots of light entering the room combined with beautiful doors that can be customized with panes. 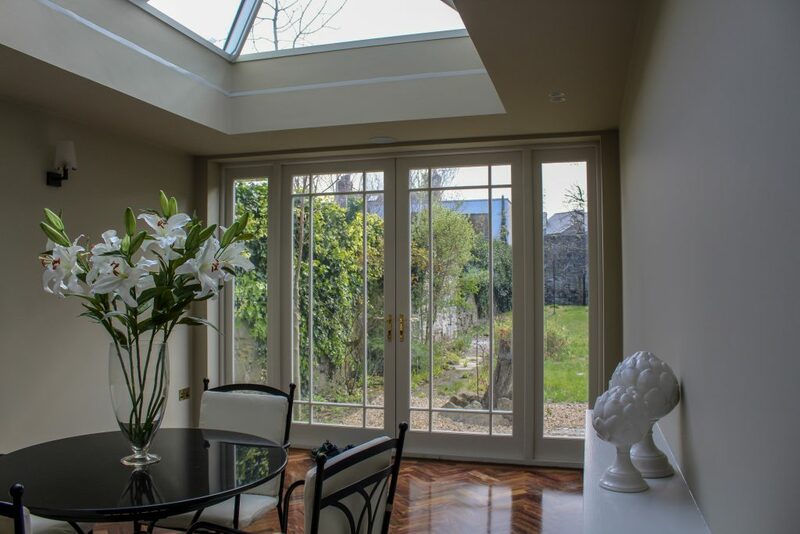 These panes can be single glazed or double glazed with toughened glass for safety. We also fit restrictors so that the doors don’t blow open and closed in windy weather. 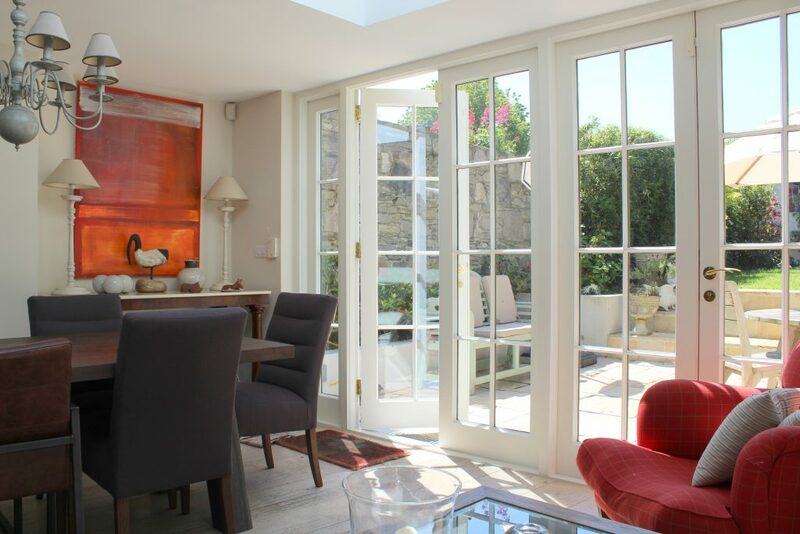 Using toughened glass and a three point locking system renders French doors very secure. We also ensure that top quality hinges are used to ensure for a good finish. 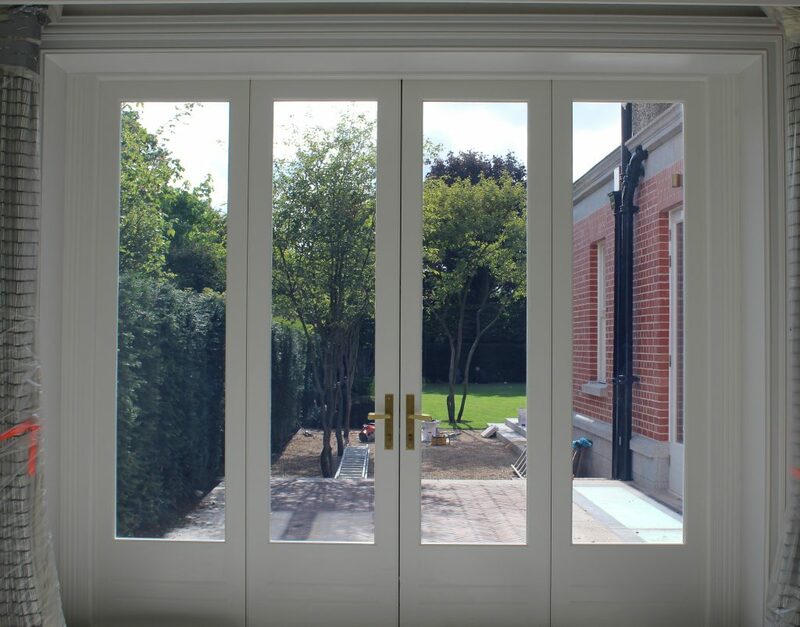 When deciding to replace or insert a French door there are a number of elements to choose from – timber or another material, glazing panes, sidelights, width of the leaves, paint colours. At Timeless Sash Windows we make each product to order. A specialist will come to your property and take measurements and discuss the best options for you. This survey is completely free of charge and will give you a quote for the job. The French doors that you love the most are going to be the ones that you have designed and chosen. 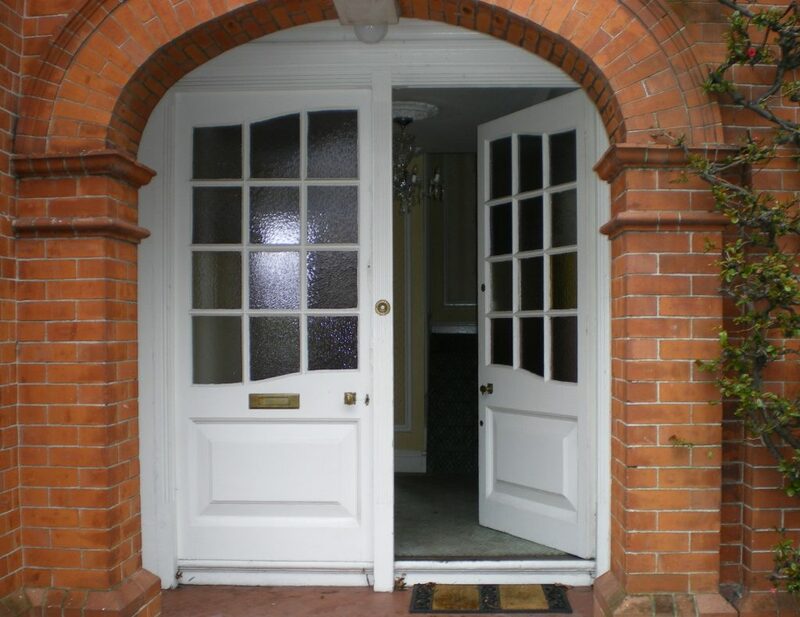 Because we offer a bespoke service, we can create anything that you would like: choose what timber would be best under the guidance of our expert joiners, choose what paint colour is going to look the smartest with your home interior and exterior, choose the width of the leaves, choose the number of panes and the sidelights if needed. Have a look at these images to realise the huge choice open to you, from the number of glazed panels to the width of the doors. For design specifics, have a look at these guides and drawings. For more details on the timber types and paint, you can read our article on timber choices and painting windows here at the Timeless Sash Windows blog. For any further information, call 046-9023323 or email us at sales@sash.ie.